Preheat oven to 350°F (180°C). Line the bottom of a 9-inch (23 cm) ovenproof, heavy-bottomed skillet with parchment paper; set aside. Whisk flour, baking soda and salt until combined; set aside. Beat butter, brown sugar and granulated sugar with electric beater until light and fluffy. Beat in egg until well blend. Beat in vanilla. Stir in flour mixture until just combined. 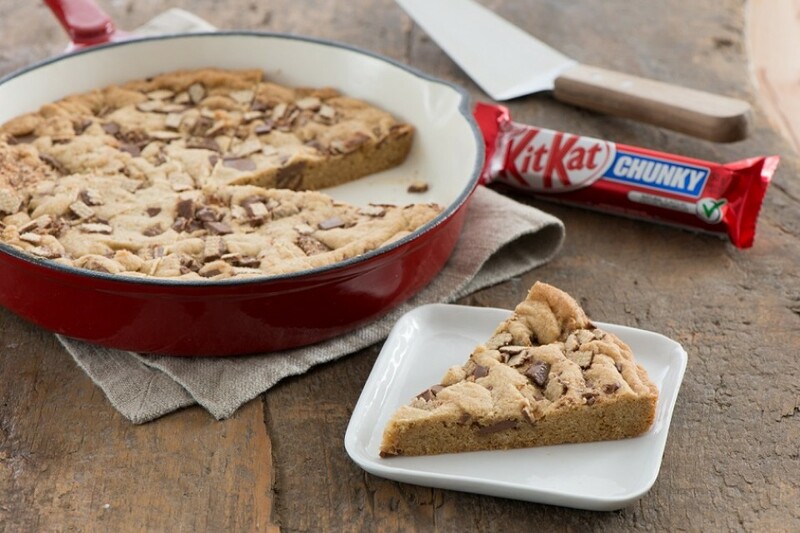 Stir in chopped KIT KAT®. Transfer to prepared skillet; smooth top. Bake for 15 to 18 minutes or until golden brown around the edges and set in the centre. Cool for at least 10 minutes before serving.